I was stuck, looking for some inspiration on a project today and sought out some TED talks for inspiration. If you aren’t familiar with TED, it is a non-profit and acronym for Technology, Entertainment, and Design. Well, I came across a talk called Measuring what makes life worthwhile by Chip Conley. It did not disappoint. Of course, you cannot achieve what you do not measure, and for many it is especially difficult to measure an intangible such as happiness. However, the pursuit of happiness is exactly what Jefferson reminded us was a natural right. So, why shouldn’t we find a way to measure it? In the end, Chip doesn’t offer any specific prescriptions for what people should measure, but he does offer questions you can ask yourself to begin to move in this direction, “…what less obvious metrics could we use to actually evaluate our employee’s sense of meaning, or our customers’ sense of connection with us?” There are many things you can study to increase employee satisfaction with their jobs and customer/client connection with your company. A key point is that you don’t have to choose between having either a great culture with happy workers and customers or a very profitable organization. Both are possible with some planning. And wouldn’t happy workers who find meaning in their work serving clients who value your products and services, not just for what they do but for how they make the customer’s life better lead to opportunities to make a fair profit for giving so much value to so many people? What intangibles do you think show happiness and satisfaction for your life? For your organization? For your customers? Why not share some of your ideas in the comments section below? 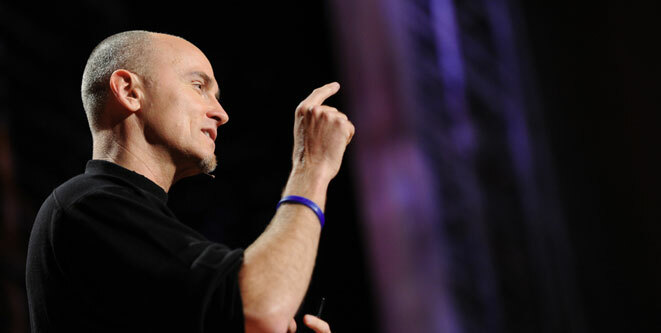 And if you have about 15 minutes, why not enjoy Chip Conley’s TED Talk. You will be glad you did. Pingback: Synthetic Happiness? | Think Good Inc.